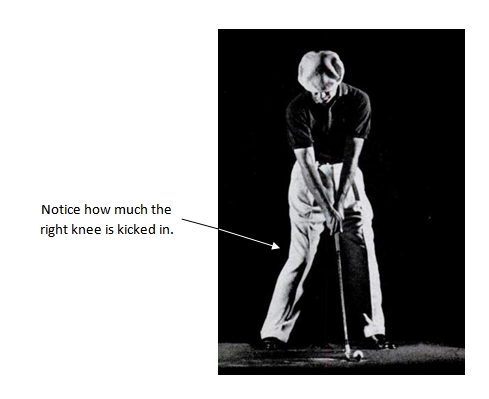 Ben Hogan did something in his setup that gave him tremendous stored up energy in the backswing. 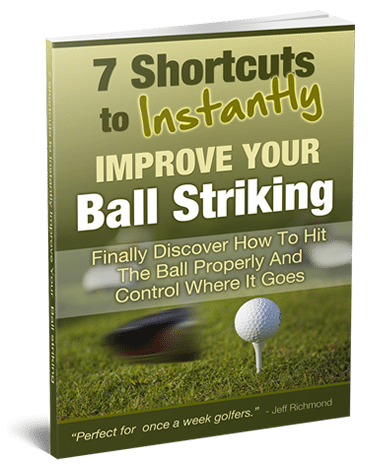 It’s something you can easily do when you swing the golf club too. 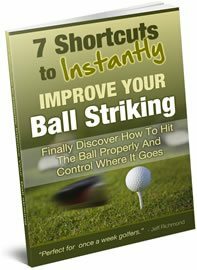 When you do that you need to keep your right knee in that same position all throughout the backswing and this will allow you to create some great torque in the backswing. If you’ve been guilty of letting your weight go to the outside of your right foot in the backswing it’s not going to be that easy to change that. But here’s a great way to help you do this. 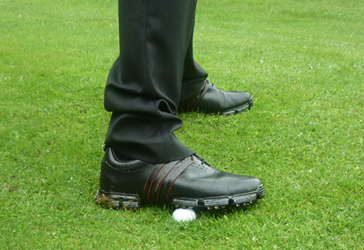 When you setup to a practice shot, place a golf ball under the outside of your right foot like this…. …then simply swing back and through.